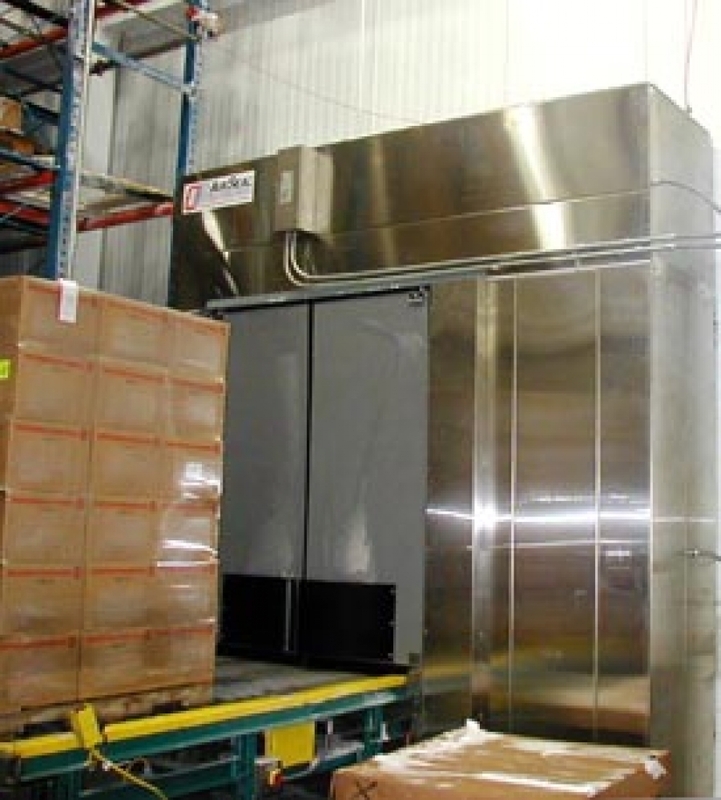 Double Horizontal Recirculatory Air Cooler/Freezer Pallet Conveyor Style Door | Dock Door Systems Inc.
For unobstructed pallet flow and maximum energy cost savings, the AirSeal 615D is the right choice. AirSeal’s invisible barrier allows for unobstructed pallet flow with minimal loss of refrigeration and/or heat gain. AirSeal® - 4,600 cfm at 4” of water gauge per door. Electric or hot gas heat reclaim. Manual/power sliding or vertical insulated cooler/freezer door. High efficiency low noise direct driven operator with 5 h.p. motor.